A bill nixing all new permits for aquarium fishing and requiring the state to establish sustainable collection practices and limits is being considered by legislators. During the next two weeks, Hawaii lawmakers will be negotiating the final details of a bill to limit fishing for the commercial aquarium trade — potentially capping a decades-old battle that has pitted fish collectors against conservationists and tour operators. If the bill passes in its current form, no new permits for aquarium fishing will be issued and the state will set rules for sustainable collection practices. The fight over the bill is about money. Snorkel and dive shops depend on healthy reef ecosystems to show customers while aquarium fish collectors say their livelihoods are at stake if the practice is banned or limited. And it’s about philosophical differences. Some simply find it wrong to pluck fish out of the ocean and send them mostly to the mainland for people to watch swim in a tank. 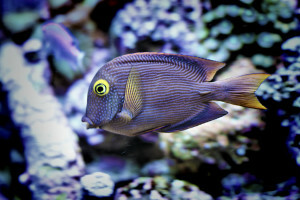 Yellow tang, seen here off the west side of the Big Island, ae one of the most targeted species by the aquarium industry. It’s also about the environment. Studies have shown that healthy herbivorous fish populations are key to maintaining healthy ecosystems. Some species eat the algae off corals, for instance, which keeps reefs from dying. And the little fish that are often targeted are food for the bigger fish that humans eat. Lawmakers will be weighing all that and more as they debate Senate Bill 1240, introduced by Sen. Karl Rhoads and four of his colleagues. In its present form, the bill grandfathers in several dozen people with state permits to collect fish in Hawaiian waters for the commercial aquarium trade. It directs the Department of Land and Natural Resources to not issue any new permits and prohibits current permit holders from transferring them to other people. Earlier versions of the bill, which has been amended three times since its introduction in January, called for a moratorium on new permits until the department defined “sustainable” and developed a policy for sustainable collection practices. The state currently has no limit on the number of aquarium fish permits it could issue, a fundamental flaw to the Humane Society and other nonprofits who have pushed for years for an outright ban on aquarium fish collection. There is no fee for the permit but a $50 commercial marine license is required. On the surface, the dispute is over the science, or lack thereof. 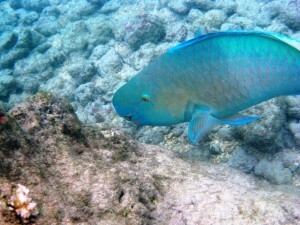 DLNR Chair Suzanne Case and her deputies have said the information they have from 40 years of monthly reports from commercial aquarium fish collectors and 15 years of extensive underwater surveys off the Kona Coast of the Big Island — where most of the fish are caught — shows little to no harm from the practice. “The data indicates that the aquarium fishery is currently operating at a level that does not indicate significant population declines or major shifts in species diversity in areas where collecting is occurring,” Case told lawmakers in her written testimony for a February hearing in the Senate. DLNR Director Suzanne Case says she supports managing Hawaii’s marine resources sustainably but opposes the latest draft of a bill targeting aquarium fish collection. 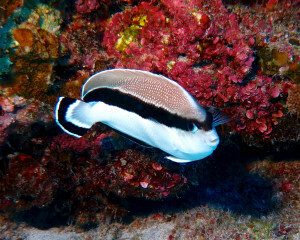 Roughly 35 percent of West Hawaii reefs have been closed to aquarium fish collection since 2000. 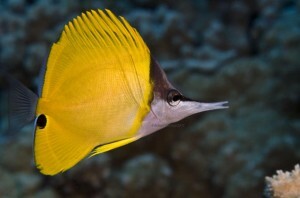 The population of yellow tang, one of the most popular fish in the trade, has increased 65 percent in the closed areas while its abundance in the open areas has not declined significantly, according to Case’s testimony. 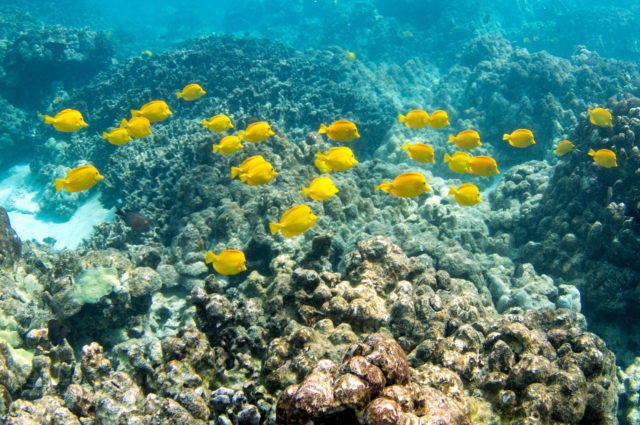 The amount of yellow tang in the 30- to 60-foot depth range over the entire West Hawaii coast has increased to an estimated 3.6 million fish from 1.3 million during a 13-year period ending in 2013, Case said. There is no biological basis to prohibit the issuance of new aquarium permits, she said, adding that it would be impossible for the department to meet the bill’s mandate to set sustainable rates of collection for all reef species. The department would need a minimum budget of roughly $10 million a year for the next five years to begin to determine catch limits, Case said. 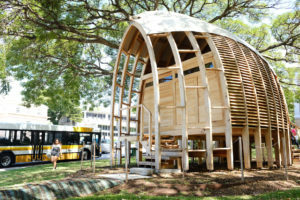 She based that on $1 million for each of the eight main Hawaiian Islands, plus $2 million for boats, diving gear and other equipment to do the necessary stock assessment surveys. 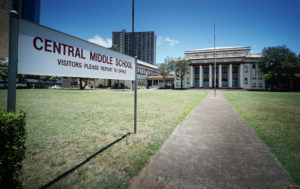 Case added that it is “impractical” to think that the department would be able to survey the over 1,225 fish species in the Hawaiian Islands and over 3,000 invertebrate species, though lawmakers could amend the bill to drastically narrow that list down. 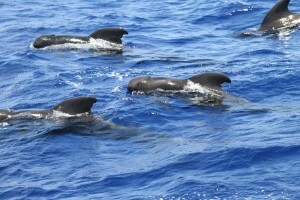 Critics, including For the Fishes, a Maui-based nonprofit led by Rene Umberger, have said DLNR officials cherrypick data to support their assertions and call the practice “sustainable” without explaining what that means or how they know it to be true. Sens. 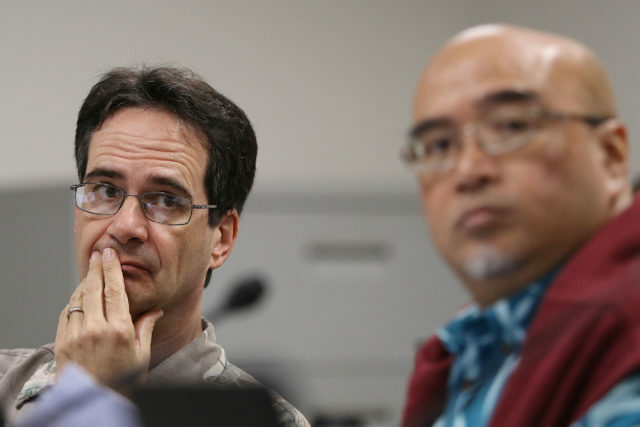 Karl Rhoads, left, and Gil Keith-Agaran introduced a measure to stop the state from issuing new aquarium fish permits until the DLNR puts forth a policy for sustainable collection. The changes in yellow tang populations over time don’t tell the whole story, they say. Even with studies showing the numbers increasing during the past 15 years in protected areas and remaining relatively flat in open areas, the gap between the closed and open areas shows that millions of fish are missing from the open areas and have not been given a chance to recover. “DLNR has based their opposition and inaction, either in part or whole, on the so-called ‘sustainable’ level of take by the aquarium trade, inexplicably ignoring their own publications, staff reports and other experts documenting the opposite of sustainable,” Umberger told the House Finance Committee at its hearing on the bill last week. 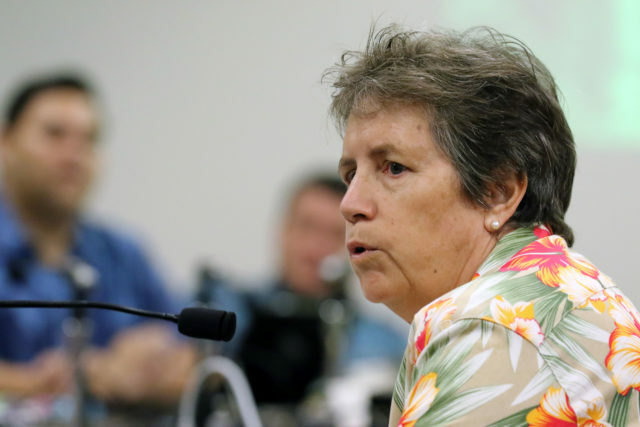 She is one of six plaintiffs who took DLNR to court over the aquarium fish collection issue. The state Supreme Court heard oral arguments in the case last week. The lawsuit hinges on whether aquarium fish collection is a “program or project” that would be subject to the state Environmental Policy Act and require a robust environmental review process. Business interests have also started lining up in support of stricter regulations. 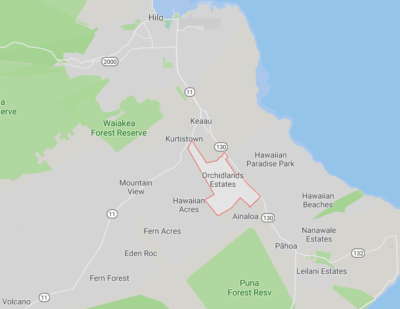 A dozen tour companies, including Snorkel Bob’s, Kauai Sea Tours and Atlantis Submarines, jointly sent a letter to state lawmakers urging them to ban new aquarium permits and grandfather in current permit holders. The Finance Committee received 400 pages of written testimony on the bill. The committee, chaired by Rep. Sylvia Luke, ultimately passed it unamended. The measure cleared the full House on Friday with nine of the chamber’s 51 lawmakers voting against it. An earlier version unanimously passed the 25-member Senate in March. Key lawmakers from each chamber will be appointed as members of a conference committee that will hash out the differences or possibly kill the bill if an agreement can’t be reached before the session ends May 4. 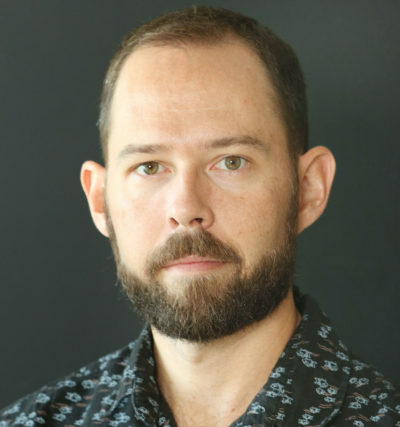 Nathan Eagle is a reporter for Civil Beat. You can reach him by email at neagle@civilbeat.org or follow him on Twitter at @nathaneagle, Facebook here and Instagram here.